Autism is a lifelong developmental disability that affects a child's ability to communicate and interact with others. 1 in 88 children are now diagnosed to be within the Autism Spectrum. Our speaker this month is Dr. Alexis Reyes MD, FPPS, FPSDBP who will expound on the concept of the “The Medical Home for Persons with Autism". This is also ideal for parents of children newly diagnosed with ASD as Dr. Reyes will include all the facts about autism that every parent should know and explain the different interventions and what can and should be done at home. 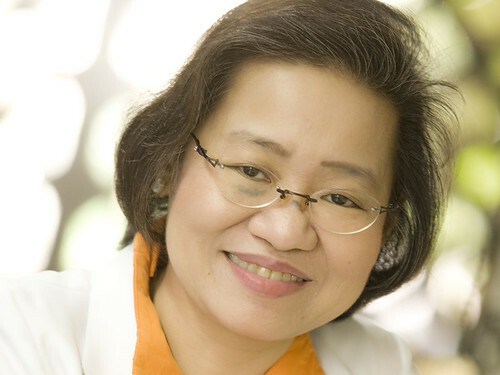 Dr. Alexis Socorro L. Reyes MD, FPPS, FPSDBP is recognized as one of the leading developmental pediatricians in the Philippines. She concurrently heads the Developmental Pediatrics Section and the Atty. Jose Miguel Arroyo Developmental and Behavioral Studies Unit of the Pediatrics Section of the UP-PGH. She is an Associate Professor of the Department of Pediatrics at the UPCollege of Medicine, is a Special Lecturer at the Department of Pediatrics of the Ateneo School of Medicine and Public Health, and of the UP-College of Allied Medical Professions. 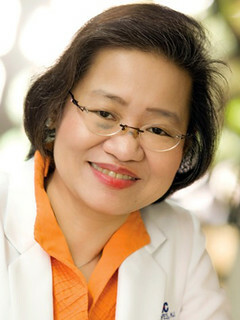 Dr. Reyes is a Past President of the Philippine Society for Developmental and Behavioral Pediatrics. She has served as Vice President of the UP Medical Alumni Society (UPMAS) since 2009 and is a Board Member of several parent-support organizations. Seminar Fee is inclusive of certificate, handouts and snack. Pre-registration fee is P500 (up to July 22). On-site registration fee is P600. ASP Members get a discount of P100. Pre-registered participants may pay to Autism Society Philippines, Metro Bank, Kamias Branch Account # 047-3-04751874-2. Please fax the deposit slip with the name/s of participant/s to ASP office and bring it on the day of the seminar. On-site registrants will be accepted depending on the availability of slots. There will only be 70 slots available. No refund will be given to participants who did not show up on the date of the seminar. For more details, please call ASP at 02-926-6941 or 02-929-8447. The ASP Seminar Series serves as a platform to educate Filipino parents and professionals on the various interventions, modalities and theories surrounding Autism Spectrum Disorder. Their application and implementation are left at your discretion. The views and personal experiences of the speakers are their own and do not necessarily reflect the views of the organization. Hello, Mr. Rabang. Your regular physician should be able to recommend a developmental pediatrician. You could also use the resource directory we have in our office, to view the full list.